Cypress Essential Oil has a woodsy, herbal scent. Presented in a beautiful 1/3oz Amber bottle with orifice stopper (can easily be removed). 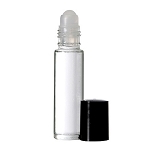 Bottle comes sealed and prepackaged into a white box. Not for ingestion. Never use more than 3% of undiluted oil in any skin or body care product. Patch test before broad use. Discontinue use if irritation occurs. Do not use during first 3 months of pregnancy. Avoid direct contact with flame or intense heat. Store cool, dry and out of direct light and heat. Q: what is cypess oil used for.? Also what is helichrysum oil used for? 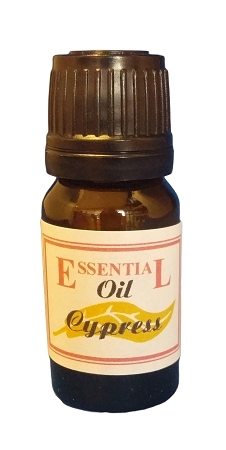 A: Cypress Essential Oil is considered to be an astringent, antiseptic, antispasmodic, deodorant, diuretic, hemostatic, hepatic, styptic, sudorific, vasoconstricting, respiratory tonic and sedative substance. We do not carry helichrysum oil, however it does have some similar uses to Cypress Oil.